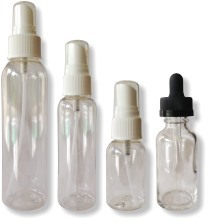 Empty Spray Bottles and Eyedropper, too! MORE BUY 3 GET 1 FREE'S AND LOWER PRICES ON MANY ITEMS!! 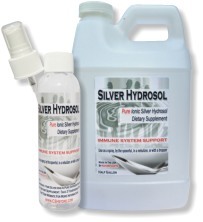 (change quantities in shopping cart) Only $2.99 FLAT Rate Shipping! Save $$ - Split with Friends & Family! 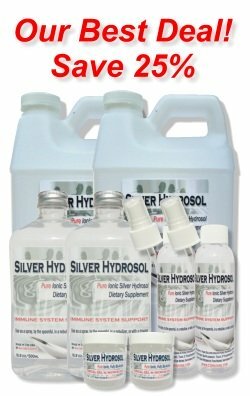 This special is 25% of our full price if each item was purchased separately! No limits on quantity. Use this as a trial size, or to take with you so you can use throughout the day. 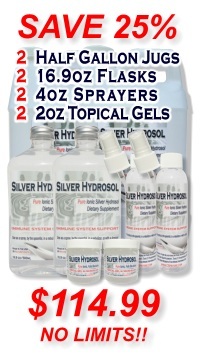 Sprayer makes it easy to take an oral dose or to spray minor cuts or scrapes. Use it to deodorize the air too! Empty spray bottles sold below. 10 Bottles - $129 Special!! 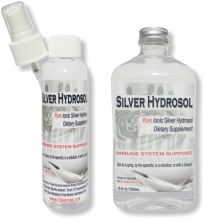 Save 10% buying these two favorites! Save 10%. 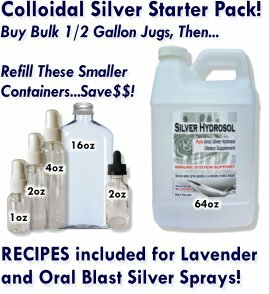 Refill smaller containers with the half gallon jug of silver hydrosol or stockpile for emergencies. 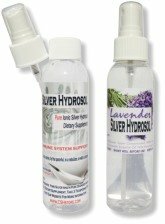 Empty spray bottles and the eyedropper are excellent companions to our 16.9oz or half gallon Silver Hydrosol products above! 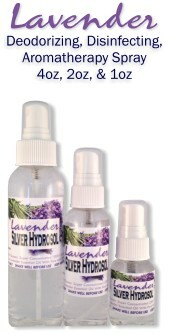 Use them to spray minor wounds, bug bites, poison ivy, deodorize the air, to spray the bottle after a shower! Use the dropper for eyes and eyes or bandages.